Interactive e-book apps were one of the hot topics at BEA, and I had the opportunity to preview The Marvelous Toy interactive picture book app. 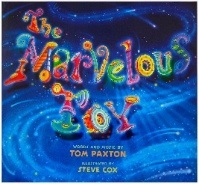 The song The Marvelous Toy, by Tom Paxton, has long been a favorite of kids and adults, and Imagine Publishing created an illustrated picture book out of the song. MobiStories Digital Books has gone one step further, taking the images from the picture book and the audio of the song, and added interactivity to create an enhanced digital e-book app. The app proceeds through a series of screens, each one displaying art from the book and playing one verse of the song while showing the words to the song. When the verse finishes, you can click on or touch different items in the picture to see them do different things, including the marvelous toy of the title, which does indeed zip, pop, and whirrrr. 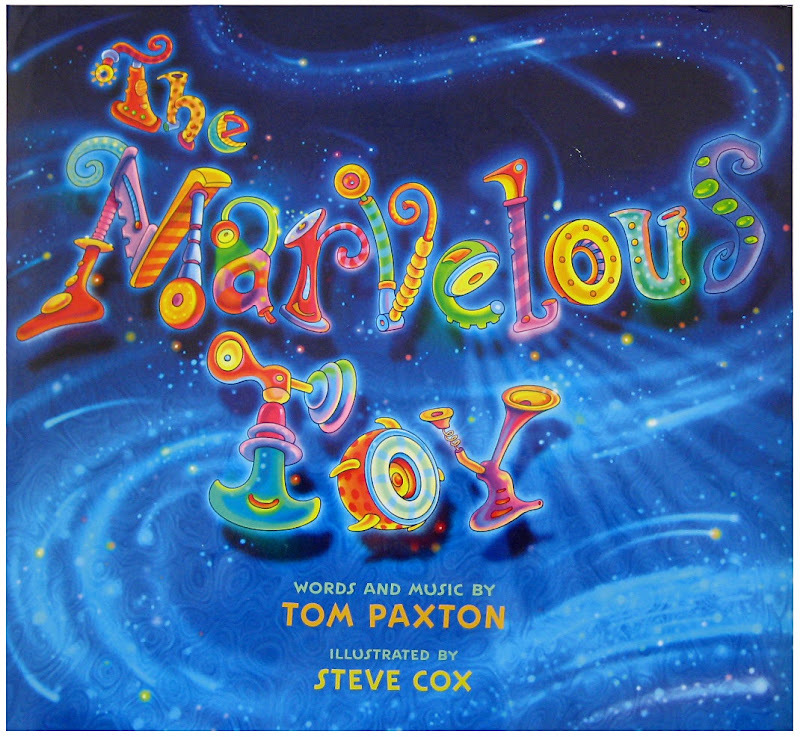 The art is lovely, and of course the song, sung by Tom Paxton himself, is wonderful. Playing with the different toys is fun, and overall I think that kids will enjoy this app. My only criticism is that the response on the iPhone app was a little slow, and you have to wait for one animation to finish before you can activate the next one. My experience with kids in general leads me to believe that most will try to touch everything quickly, without waiting for the first one to finish, and when nothing happens they may assume that object doesn't do anything. From what I saw of the computer version at BEA, it seemed that this problem doesn't exist on the computer version. The book is available as an iPhone/iPad app or as a download for your computer. On a meta level, I can't help wondering how far you can go and still call something a book. Is an app based on a book based on a song still a book? In one sense, it doesn't matter what we call it, but to some extent it does. There's nothing wrong with kids "reading" something like this some of the time, but I wouldn't want this to become the only thing that kids read. Partly because, although the words appear on the screen, kids don't actually have to read them to enjoy the app. But also because it doesn't leave anything to the imagination, and developing imagination is another important thing that books can do. 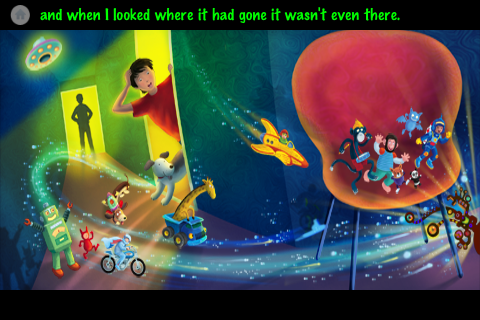 Even picture books, with art that shows what things look like, still encourage imagination; in The Marvelous Toy print book, for example, kids can see the toy but have to imagine it lighting up, zipping, and whirring. In the app, they can see it and don't have to imagine it. I don't mean this as a criticism of the app, which I like, but more as a musing on the possible implications of where we're headed. Excellent question you raise. I've seen children making a fort from a large carton, creating a fantasy world inhabited by their own imaginations. I've also seen children mesmerized - stock still - staring at a DVD. I hope we never forget that the development of the minds that will lead us 30 or 40 years from now are in those little brains that we either encourage to create or allow to become passive input devices. And I absolutely understand the occasional need for those DVDs to maintain the sanity of adults in the area of a child in overdrive! Yes, absolutely. And imagination is so important for everybody, not just in the "creative" fields. That's why I have the quote from Einstein on my publisher site: "Imagination is more important than knowledge." So while I'm all for these kinds of apps, I hope that they never completely replace books. Thanks so much for your comments, Wendy. I agree that e-book apps and traditional books can sit side-by-side and fulfill different needs. Please do let me know when the improved iPhone version is available and I'll post something.